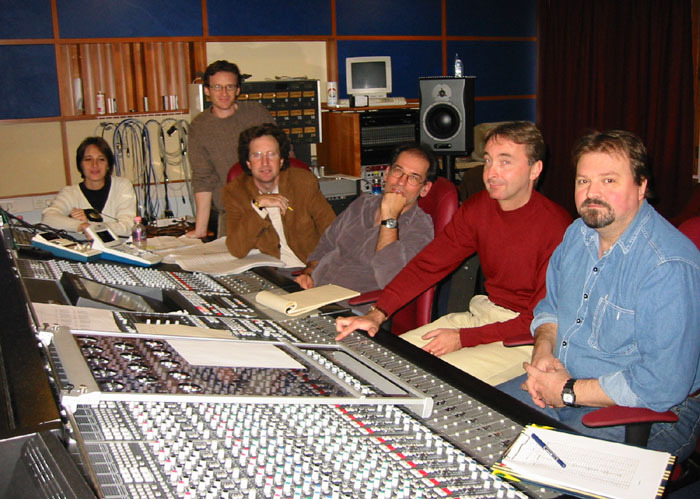 Surrounded by the voice recording crew, Whoopi Goldberg lent her voice and unique sensibility to Cyberina, the bluesy fairy. 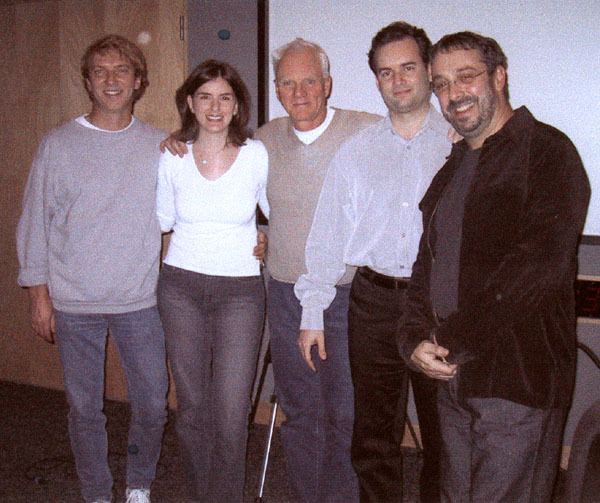 From left to right: Terrence Scammel (Voice Director), Rona Zunenshine (Casting Director), Malcolm McDowell (Actor, voice of Scamboli), Daniel Robichaud (Director), Louis Duquet (Producer). 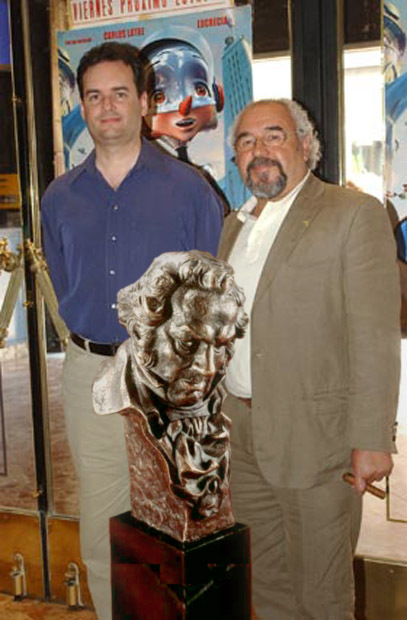 With Julio Fernandez, Co-Executive Producer.